In 1919, Texas rancher J. Frank Norfleet lost everything he had in a stock market swindle—twice. But instead of slinking home in shame, he turned the tables on the confidence men. Armed with a revolver and a suitcase full of disguises, Norfleet set out to capture the five men who had conned him, allowing himself to be ensnared in the con again and again to gather evidence on his enemies. 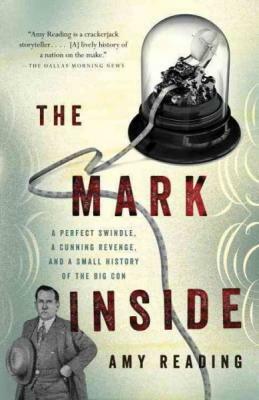 Through the story of Norfleet’s ingenious reverse-swindle, Amy Reading reveals the fascinating mechanics behind the big con—an artful performance targeted to the most vulnerable points of human nature—and invites you into the crooked history of a nation on the hustle, constantly feeding the hunger and the hope of the mark inside. Amy Reading holds a Ph.D. in American Studies from Yale University. She lives in upstate New York with her husband and two children.